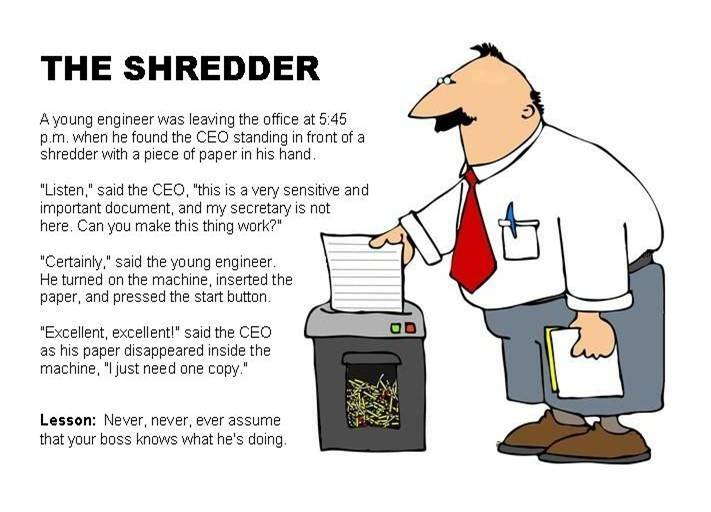 Looks like this guy needs to check out our Copier-Corner Blog to learn a thing or two! Would love to up-date my shredder for a newer model but don’t really know where to start can you help? I know that different cuts indicate higher and lower security but thats all really. Lisbeth, the main thing you’ll be looking for is, as you said, the security level. Other important features include how many sheets you can feed through at once, and the volume of the waste-bin. Your best bet is to call in on 888-298-3095. The sale reps will help you out. Good luck!